Before hiring a caregiver from a homecare agency, it’s important to learn as much as you can about the process and make sure that your expectations can and will be met by the caregiver. This article titled Hiring Elder Companions/Caregivers provides a detailed breakdown of the process and should answer most of your questions regarding home care. Cost of a caregiver is explained, sample questions that you should ask a caregiver candidate, job expectations, explained, tips, and more. A-1 Home Care is a Licensed Bonded and Insured non-medical homecare agency that has been in business since 1991 with an A+ Rating from the Better Business Bureau and Shield Accreditation. We provide Live In Care services in the communities of Culver City, Santa Monica, Pacific Palisades, Malibu, Studio City, Palos Verdes, Sherman Oaks, Hollywood, and others in Los Angeles County. Our caregivers, nurse aides, and companions are available on a 24 hour live-in basis or hourly part-time basis. We specialize in Elder Care services such as Alzheimer’s Care, Parkinson’s Care, Post Stroke Care, and more. All of our caregivers must have prior experience, verifiable professional references, a National Background Check and DMV Check, Tuberculosis testing, First Aid/CPR training, Malpractice/Liability insurance, and a personal interview with our office staff. 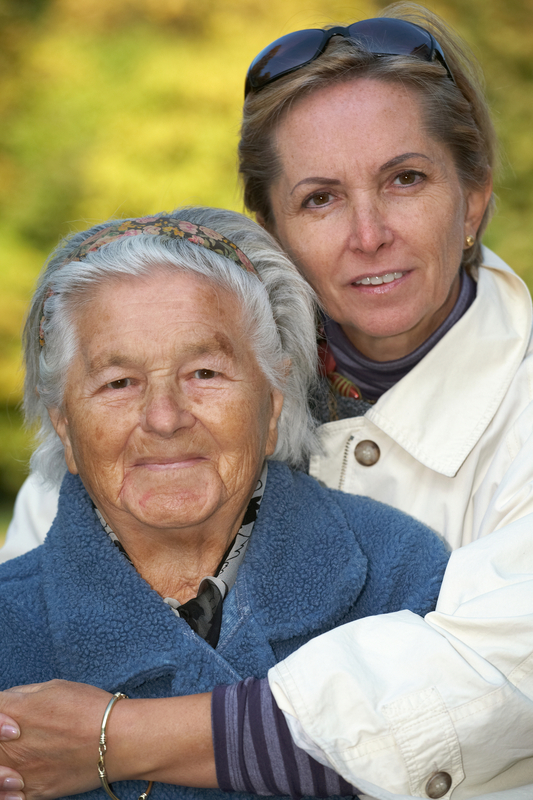 To hire a compassionate Live In Caregiver today, call us at 310-657-8780 for a free in-home assessment. We cater to clients from all backgrounds including Asian, Middle Eastern, and Jewish backgrounds. For more information, visit us at Culver City In Home Care. The baby boomer generation has grown a reputation for insisting on remaining independent, and rightfully so. Who wants to live in a nursing home during the holidays anyways? It can be too much change in a lifestyle you’re already so accustomed to. Even if your loved one is in good health right now, it’s important to plan ahead and perhaps settle on a long-term insurance plan. 70 % of people 65 and older are estimated to need long term care, so it definitely is smarter to prepare earlier when long term insurance is affordable before retirement. A-1 Home Care is a non-medical homecare agency that provides 24 Hour Care in-home care services in Culver City. We provide compassionate and qualified caregivers, nurse aides, companions, and home helpers who must have prior at home caregiving experience, verifiable professional references, a National Background Check/DMV Check, Tuberculosis testing, Malpractice/Liability insurance, First Aid/CPR training, and a personal interview with our office staff. We specialize in Elder Care services such as Arthritis Care, Parkinson’s Care, Alzheimer’s & Dementia Care, Respite Care, Diabetic Care, Cancer Care, After Surgery Care, Hospice Care, Incontinence Care, and Post Stroke Care on a 24 hour Live-In Care or Hourly Care basis. We provide care at home in the communities of Culver City, Los Angeles, Glendale, Hollywood, Santa Monica, Studio City, Brentwood, Beverly Hills, San Marino, Palos Verdes, Westwood, and others in Los Angeles County. To hire a compassionate caregiver in your area today, callus at 310 657 8780 for a free in-home assessment. Or visit us at Culver City In Home Care. Some people can say that being healthy is easy…and while it may be for some people, the truth is that we live in an age where greasy pizza, super-size sodas, and fatty foods are advertised everywhere around us. Eating healthy in such an environment can be hard for the average adult, but imagine how much harder it can be for seniors who are more accustomed to this. Staying committed to a healthy lifestyle after a stroke can be incredibly difficult for elderly and senior individuals to do on their own. Boredom may cause them to eat leisurely and unhealthily. They may not have motivation to get out of the house enough to exercise, which causes weight gain and increases the risk of heart disease and stroke. Elderly individuals could benefit from having a friend, family member, or caregiver guide them on a daily basis in living healthier. Having someone around all the time can also make living healthier a fun experience. At A-1 Home Care, we understand how difficult it can be to be there for your loved one to help them live healthier when you have a job that you can’t just set aside or family to care for. We provide compassionate and experienced caregivers for Post Stroke Care in Culver City on a 24 hour Live-In Care or Hourly Care basis. Our caregivers can help make recovery and living healthier a more enjoyable experience by being available for your loved one whenever they need any assistance. Whether it’s working with your loved one to improve their mobility through exercise or preparing delicious and nutritious meals for them, you can count on A-1 Home Care to match you with a compatible in-home caregiver who can provide supervision, companionship, personal care, and assistance with errands. All of our caregivers and home helpers must have prior at home caregiving experience, and many have experience administering other facts of care including Diabetic Care, Senior Care, Incontinence Care and more! To interview and hire a compassionate caregiver in your area, call us today at 310-657-8780 or 562 929 8400 for a free in-home assessment. Check us out at Culver City In Home Care. As the primary caregiver for your loved one, you may have experienced mental and physical exhaustion as you juggle between your career, your family, and your own needs. A vacation is what you need! Respite care is temporary assistance from a caregiver or home provider who will give you the break you need. Maybe you just need a “stay-cation” and run errands that you have been putting off for a while due to taking care of your loved one. Maybe you just need to get away for a weekend or a week to recharge physically, emotionally and spiritually. A-1 Home Care provides temporary and permanent respite care, whether you need help for a few hours a day or you need assistance on an on-going basis. We provide hourly and round-the-clock care for anyone who needs Alzheimer’s & Dementia Care, Cancer Care, Parkinson’s Care, Companionship, Incontinence Care, Special Needs Care, Child Care, Post-Surgery Care, and more! For over 20 years, families have referred their friends to A-1 Home Care because of our reliability and dedication to excellent in-home care. Call us (310) 657-8780 or visit www.culvercityinhomecare.com for more information. A-1 Home Care has faithfully served Culver City, Malibu, Hollywood, Beverly Hills, Santa Monica, and other cities throughout Los Angeles County since 1991. Stay in touch with A-1 Home Care through Facebook and Twitter! When the brain stops producing dopamine, a neurotransmitter that is used by the brain to communicate to motor neurons, the result is Parkinson’s Disease, also known as idiopathic or primary parkinsonism. Although there are no known causes for Parkinson’s, the effects of the disease are debilitating, leaving the individual with no control over the muscular spasms and tremors in his body. Someone who suffers from Parkinson’s will have trouble with slowness of movement, shaking, and rigidity. In more advanced stages of Parkinson’s, the individual may develop problems with speech, swallowing, and cognition. Oftentimes Parkinson’s Disease goes hand in hand with Dementia because of the deterioration in cognitive abilities. Luckily for families and their loved ones, quality in-home health care is available. Individuals with Parkinson’s benefit from the assistance of skilled caregivers and certified nurse assistants who provide exercise training and support when you need them. Count on them to prepare meals, assist with personal care and hygiene, and run errands with you or for you if you cannot do it on your own. Having an extra helping hand around the house takes the burden off your shoulders so you can focus more on recovery than anxiety. To hire a caregiver today, please call (310) 657-8780 or visit our website http://www.culvercityinhomecare.com to learn more about Parkinson’s Care. A-1 Home Care is here to provide the best quality in-home care in Culver City, Pacific Palisades, Malibu, Studio City, Hollywood, and surrounding cities! When you have an Elderly or Senior loved one, you may find them asking you questions that you don’t have the answers to. As they become more engulfed in learning about their bodies and health – how medications keep them healthy or how certain foods help with different areas of bodily health, you may be unable to provide an answer to a question that you haven’t ever considered. For nutrition purposes, hiring a registered dietician to analyze your loved one’s health and establish a meal plan accordingly can be the best solution for providing them peace of mind and informing them about why certain foods are good/bad for them. Establishing a meal plan has tremendous short term and long term health benefits, in addition to making grocery shopping easier. So how do you find a registered dietician? This article from Livestrong gives you all the information you need to evaluate the credentials of a dietician. There are many nutritionists who claim to be very knowledgeable about nutrition, but registered dieticians are held in the highest regard because they have the most credentials and experience. The article provides you with some questions to ask so that you can evaluate their competence. At A-1 Home Care, we provide experienced and qualified caregivers for a variety of non-medical in-home care services. We specialize in 24 Hour Live-In Care and Hourly Care for Elderly, Senior, and Terminally Ill individuals. Once your loved one has a solid meal plan in place, our caregivers can help carry out the plan and ensure that your loved one eats healthily every day. Our caregivers focus on healthy meal preparation and exercise to ensure an optimum quality of life, no matter what your loved one’s care situation is. Some of our in-home care services include Arthritis Care, Alzheimer’s & Dementia Care, Diabetic Care, Cancer Care, Kidney Disease & Tumor Care, Heart Attack Care, and Incontinence Care. We serve the LA communities of Culver City, Torrance, Santa Monica, Downey, Malibu, Brentwood, Beverly Hills, Calabasas, Burbank, Glendale, Pasadena, and others in Los Angeles County. To interview and hire a compassionate caregiver in your area today, CALL us at 310-657-8780 for a FREE in-home assessment. When your Elderly loved one lives at home alone, issues of safety rise and hazards should be eliminated. Because of health decline and issues with mobility and eyesight, the once simple task of getting around the house becomes increasingly difficult and leaves plenty of opportunities for an fall to occur if the necessary precautions aren’t taken. This article titled Adapt your Home for Elderly Parents with a Home Safety Checklist covers how you can safeguard the different parts of your loved one’s home such as the entrance to the home, bathroom, living room, kitchen, and stairs. 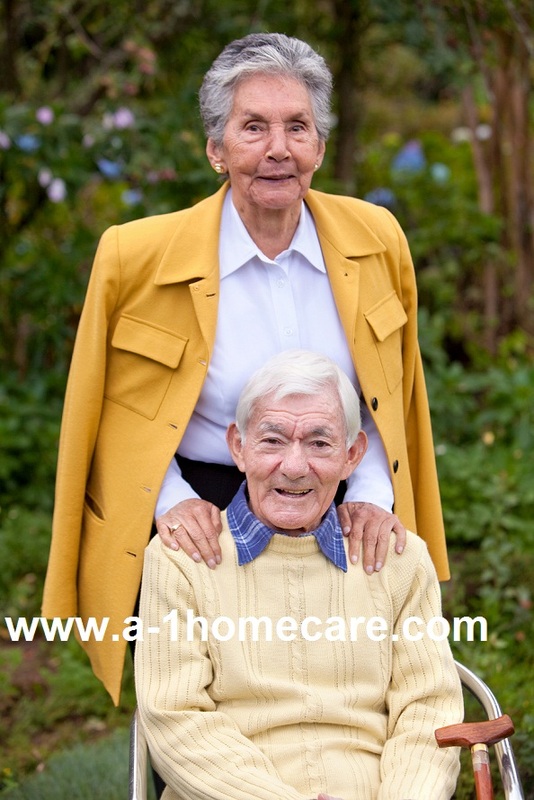 At A-1 Home Care, we provide non-medical in-home care services for Elderly and Senior individuals. With a caregiver, you can have peace of mind in knowing that your loved one will receive supervision and care to prevent falls and perform tasks that may require a lot of energy from your loved one such as basic housekeeping duties, laundry, and meal preparation. We specialize in Elder Care services such as Companion Services, Arthritis Care, Cancer Care, Alzheimer’s & Dementia Care, Parkinson’s Care, Diabetic Care, Incontinence Care, Hospice Care, and Post Stroke Care on a 24 hour live-in basis or hourly care basis. We provide care at home for Seniors and Elderly in Culver City, Santa Monica, Pacific Palisades, Malibu, Studio City, Sherman Oaks, Hollywood, Beverly Hills, and others in Los Angeles County. All of our caregivers, nurse aides, and home helpers must have prior at home caregiving experience, verifiable professional references, a National Background Check/DMV Check, Tuberculosis testing, Malpractice/Liability insurance, First Aid/CPR training, and a personal interview with our office staff. To interview and hire a compassionate caregiver in your area, CALL us today at 310-657-8780. For more information about our quality agency, visit us at Culver City In Home Care. Dealing with Incontinence can be a very difficult thing to do for Elderly and Senior individuals who have it as well as the primary caregiver. Although they need help, the Elderly individual may feel ashamed after an accident and not want their caregiver to help clean, but they have to tolerate it because they can’t clean themselves. The caregiver may be worried or embarrassed about going out in public in case the incontinence individual has an accident. There are ways to make incontinence more manageable, such as with purchasing incontinence pads/pants, adult diapers, absorbent undersheets, and waterproof bed sheets. Trying to find a patter in the Elderly individual’s bathroom time throughout the day can help you form a bathroom trip schedule. This article titled Coping with Your Emotions is from the point of view of an incontinent individual, but it applies to family caregivers as well in disclosing your loved one’s problem to other friends and family. A-1 Home Care is a Licensed Bonded and Insured non-medical homecare agency that has been in business since 1991 with an A+ Rating from the Better Business Bureau and Shield Accreditation. Our compassionate and experienced caregivers, nurse aides, and companions specialize in Elder Care services such as Incontinence Care, Alzheimer’s Care, Arthritis Care, Parkinson’s Care, Cancer Care, Diabetic Care, Post Stroke Care, and Hospice Care. We serve the communities of Culver City, Santa Monica, Pacific Palisades, Malibu, Studio City, Sherman Oaks, Hollywood, Beverly Hills, Palos Verdes, Marina Del Rey, and others in Los Angeles County. To interview and hire a compassionate Incontinence Caregiver in your areal, CALL us at 310-657-8780 for a FREE in-home assessment. Are you considering in-home Hospice Care for an Elderly loved one who was diagnosed with a terminally ill condition? When the time comes to make a decision about the treatment your loved one will receive at end-of-life, it’s important to know your loved one’s options and be able to explain the options to them as well. Most Elderly individuals prefer to spend the time they have left at home to be near friends and family, and the feel-good feeling we all get from being home. This article titled Woman’s Life Refutes a Hospice Myth tells the story of a 91 year old woman who was diagnosed with a fatal heart condition when she was 85 and told she had 6 months to live. She talks about how she immediately knew she wanted hospice care and about how life has been in the six years since her diagnosis. Although this miracle of a story may not apply to everyone who uses hospice care services, it may hint at some great benefit that Elderly individuals gain from the service. A-1 Home Care is a non-medical homecare agency that specialez in Elder Care services such as Hospice Care, Alzheimer’s Care, Parkinson’s Care, Cancer Care, Post Stroke Care, and more. We have been in business since 1991 with an A+ Rating from the Better Business Bureau and Shield Accreditation. A-1 Home Care provides 24 hour live-in care or hourly part-time care in the communities of Culver City, Santa Monica, Pacific Palisades, Palos Verdes, Malibu, Studio City, Sherman Oaks, Hollywood, and others in Los Angeles County. For a FREE in-home assessment, CALL us at 310-657-8780 to hire a compatible caregiver today.